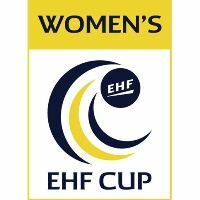 NEWS REPORT: The Vienna's draw has set all pairings in the Women's EHF Cup Last 16. The 2015 Women's EHF FINAL4 participants Dinamo-Sinara will face a well-known opponents in this season's Women's EHF Cup after the Last 16 draw put them together with local Russian rivals Astrakhanochka. The draw was conducted by Women Forum Club Handball vice-presidents Kay-Sven Hähner and Gordana Naceva and has created two more intrastate clashes as HCM Roman will meet ASC Corona 2010 Brasov in the all-Romanian pairing, while Dunaujvarosi KK Akademia meet fellow Hungarian team Siofok KC. In addition there are two more all-Scandivanian double-headers involved as Tertnes Bergen from Norway face Denmark's HC Odense and the 2014 Challenge Cup winners H 65 Höörs Handbollsklubb from Sweden take on a Danish side Silkeborg-Voel KFUM. The first leg is scheduled for 9/10 January and the second leg will follow one week later.